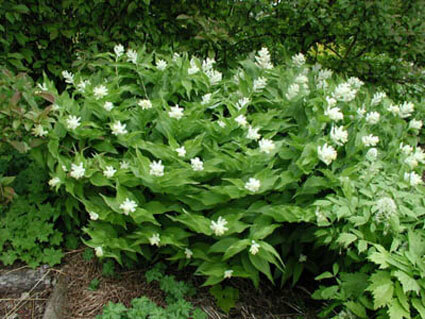 In spring, small Solomon Seal like shoots emerge with racernes of yellow, cream-white flowers appear. This is a rare plant. Good for the shady border, pot or tucked in a woodland where it will quickly form a mat.